VALDOSTA, Ga. May 9, 2014: This weekend the Professional Drag Racers Association contests their second event, the Inaugural Georgia Drags. The PDRA’s kickoff event was a wild success, and racers, fans and sponsors are looking forward to another weekend of incredible racing. Team Aruba is especially excited about joining the PDRA since Aruba is the Official Travel Destination of the organization. 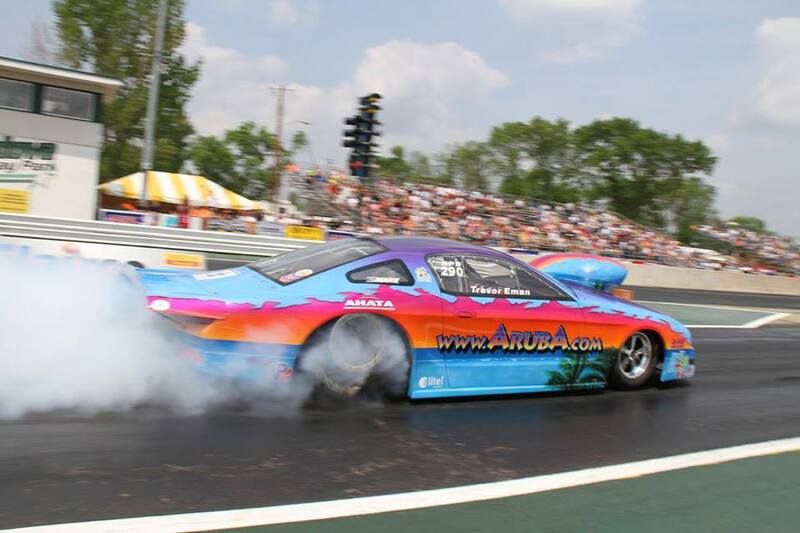 Team Aruba will be on hand, letting South Georgia fans know about one of the world’s premier vacation destinations and also fielding their Aruba.com Mustang in Extreme Pro Stock. The team found great success in XPS in 2013 and driver Trevor Eman is hoping they can build on that this weekend: “We are very excited to be at the PDRA race in Valdosta. Our guys have worked hard for us to make it here, and everybody is ready to work even harder for a successful weekend. It’s been a while since we’ve raced at South Georgia Motorsports Park so it will be nice to reconnect with our fans in that area. We are looking forward to seeing packed stands and some good doorslammer racing this weekend. “Last year at the ADRL race here we were number one qualifier,” Eman continued, “but the race was rained out and we never got to defend that number one spot. So this weekend we’re preparing to take care of unfinished business. Watch all the Team Aruba action this weekend on Motor Mania Live Feed. Keep up with Team Aruba atwww.facebook.com/teamarubaracing and onTwitter @TeamArubaRacing.